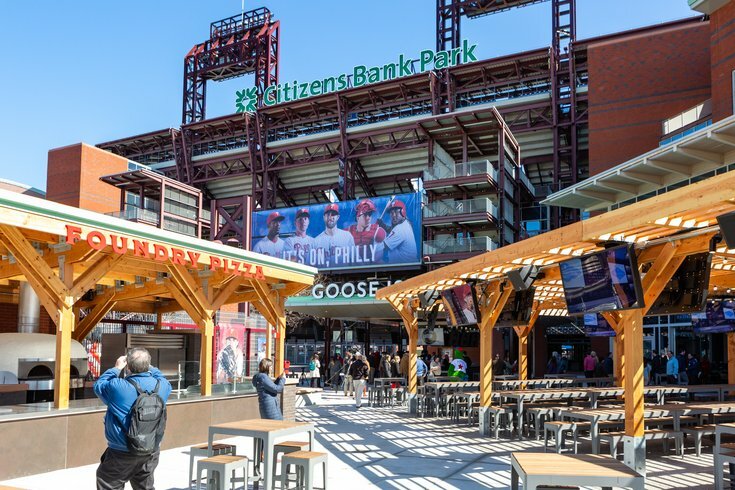 The outdoor beer garden and brick oven Foundry Pizza are now part of Citizens Bank Park's "Pass and Stow," the brand-new sports pub available to all fans that attend the game. Expectations are sky high for the new look Phillies, and their ballpark has a slightly new look for 2019, as well. With Bryce Harper, Jean Segura, Andrew McCutchen and J.T. Realmuto among the new faces slated to — hopefully — lead the Phils back into contention, Citizens Bank Park has had a bit of a facelift as well. The gigantic 19-foot tall Liberty Bell, originally hung in Veterans Stadium, is back home and will greet fans outside the third base gate. 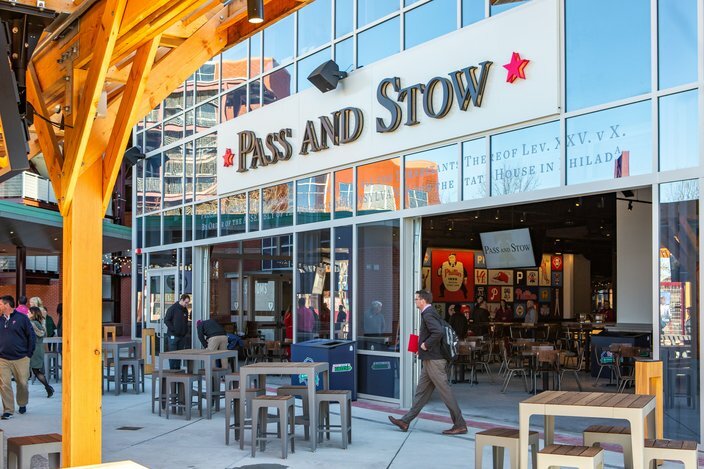 The area also now has a beautiful indoor/outdoor beer garden named after the bell — the Pass and Stow. 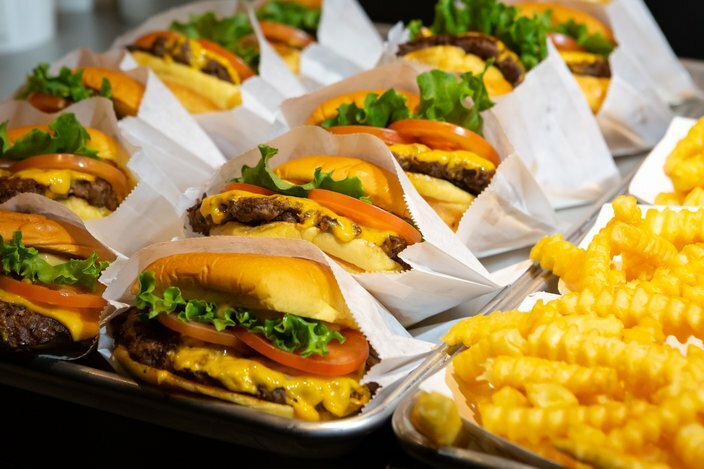 Not far from that, a massive Shake Shack will serve fresh burgers, fries, shakes (and even their 'Shroom Burger), while a remodeled Phillies Clubhouse Store offers all the Phillies swag any fan could ever want. Here is quick photo tour of what's new a the ballpark this season. 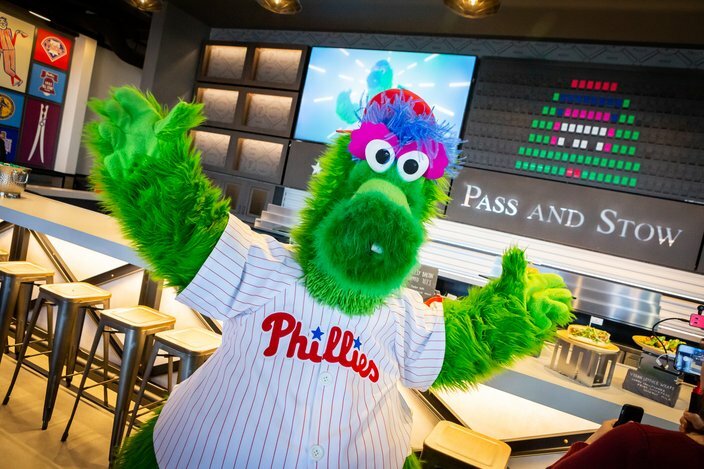 The Phillie Phanatic helped introduce the media to the new fan areas of Citizens Bank Park, two days before the Phillies Home Opener, March 26, 2019. 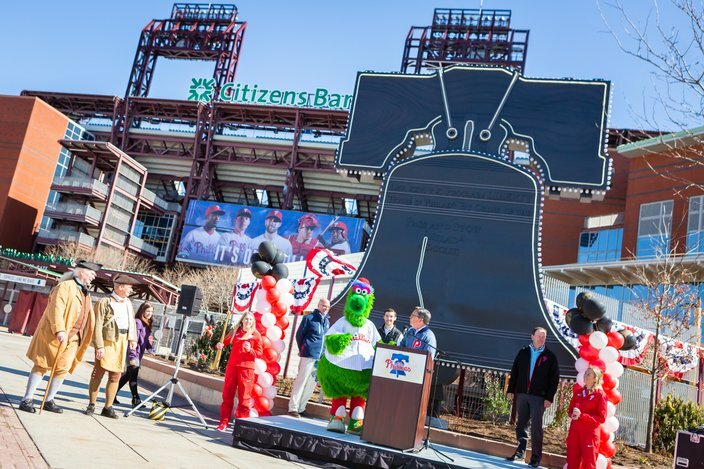 The Phillie Phanatic along with special guests “Pass” and “Stow,” the metalworkers that recast the Liberty Bell in 1753, showed up to a media-only sneak peek of new fan destination areas at Citizen's Bank Park, Tuesday, March 26, 2019. 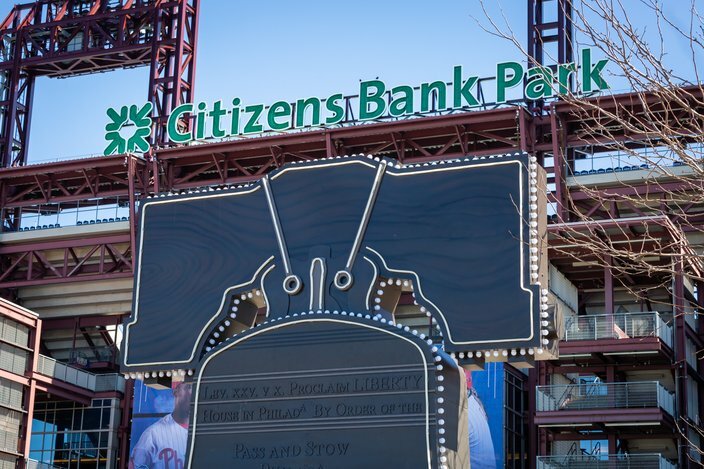 In addition to the outdoor fire pits, picnic tables and a Phillies-etched water feature, fans will be able to enjoy an indoor sports pub featuring a custom Oat Foundry split flap display with real-time score updates, reminiscent of 30th Street Station. 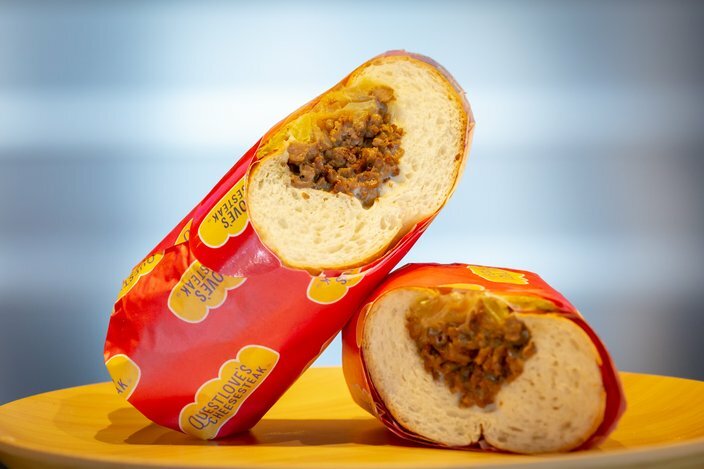 New on the menu at Citizens Bank Park is Questlove's Cheesesteak, made with Impossible 2.0 Meat, available in sections 108 and 120. 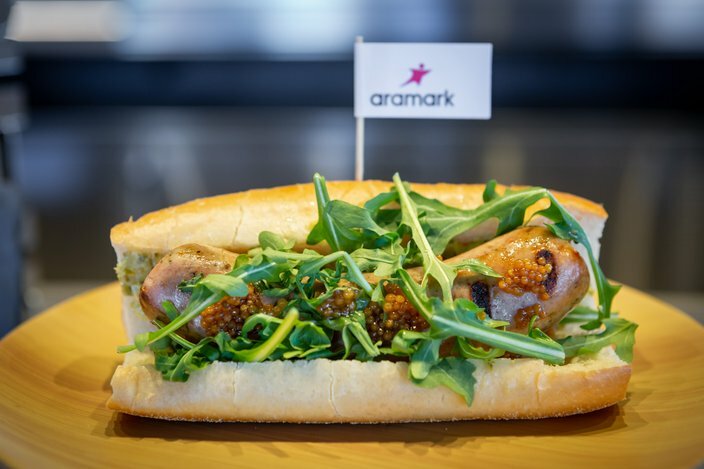 A house-made kielbasa sandwich with cornichons, pickled mustard seeds and arugula will be served at Pass and Stow. 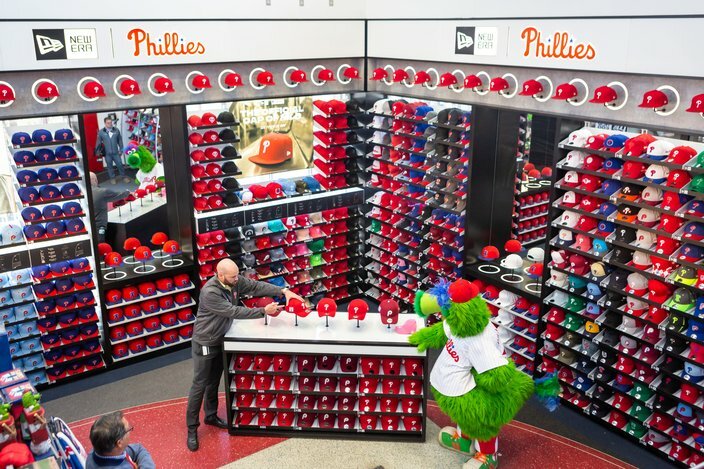 The largest cap wall in the country is part of the recently renovated and renamed New Era Phillies Team Store at Citizen's Bank Park. * PhillyVoice Sports editor, Evan Macy, contributed to this story.